LAHORE Feb 7 (APP): A group of civil society representatives Tuesday spent a day out with troops at Lahore Garrison. 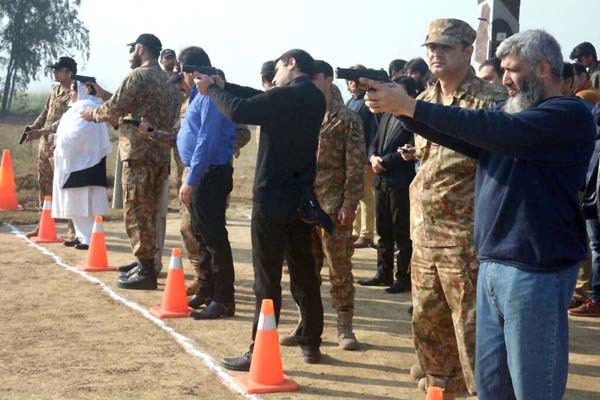 According to Inter Services Public Relations, the programme aimed at introducing them to the military life and to further enhance their confidence in the defence capability of Pakistan Army. The day started with a wreath laying by the visitors at Yadgar-e-Shuhada. Later, they witnessed a combat demonstration by Quick Reaction Force and weapon handling and firing. The group also had an interaction with Corps Commander Lieutenant General Sadiq Ali after a short briefing about the army at Corps Headquarers. The visit culminated with flag lowering ceremony at Pakistan-India joint check post at Ganda Singhwala near Kasur. The visitors applauded the professionalism and resolve of Pakistan Army officers and troops in defending the homeland.